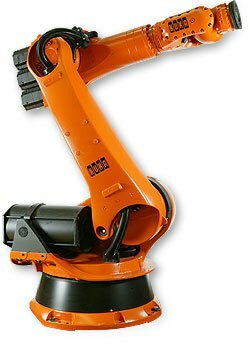 This is Kuka KR 240 L 210 with KR C2 ED05 Controller. It has a payload of 210kg and a reach of 2900mm. 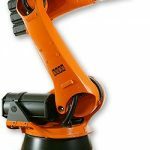 Heaviest payload 6 axis robot of the 2000 series available in 3 different payloads and horizontal arm reaches (2700 mm/240 kg, 2900/210 kg and 3100/180 Kg). Suitable for heavy payload tasks such as machining, loading/unloading of parts, welding, glueing etc.